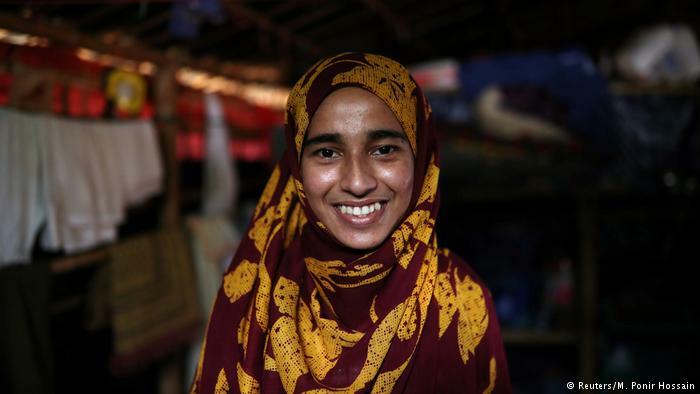 Fatima was gang-raped during attacks on Rohingya Muslims as part of Myanmar’s ethnic cleansing campaign. Now, she and her family live in a camp in Bangladesh with few prospects, DW Editor-in-Chief Ines Pohl reports. The rhythmic pitter-patter of the rain on the white tarpaulin roof is the only sound to be heard in the camp: no television, no music, no children laughing. The silence is in stark contrast to the noisy streets of Cox’s Bazar, which we passed though on our way here. The quiet is only interrupted by the sound of the muezzin’s voice; his calls to prayer are broadcast over the hills and through the muddy valleys from silver-gray speakers hung from trees. Camp 7 is located in the northeast section of Kutupalong, the world’s largest refugee settlement. Officials estimate that up to 40,000 people live per square kilometer (250 acres). Nobody knows the exact number of Rohingya people stranded in the coastal town on the border between Bangladesh and Myanmar, an area that was once jungle. Some reports say 1 million people live among the camps, but it could be 1.2 million or even more. From a hilltop, you can survey the camps. Rows of huts stretch as far as the eye can see. Plastic tarps serve as roofs on structures made from bamboo; very few houses have tin roofs. Rohingya have fled Myanmar since the 1970s. 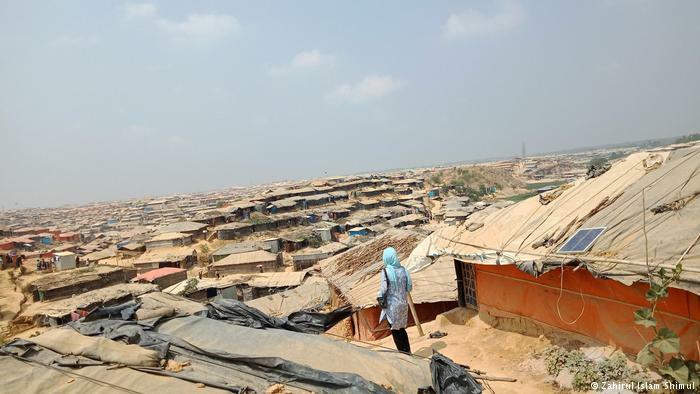 Within the space of a few months last year, more than 700,000 people from the Muslim minority fled to Bangladesh to escape the intensifying brutality and violence at home. Nobody knows how many people were murdered, but one thing is clear: It is one of the worst genocides in the recent history of South Asia. Fatima is one of the survivors. She rubs her fingers over her teeth, picking at gums inflamed from chewing tobacco and betel leaves. The habit has helped a little at this particularly traumatic time, but it has also blackened her teeth. On some fingers, her nails are chewed down to the cuticles. Fatima is 20 years old and has two small boys. 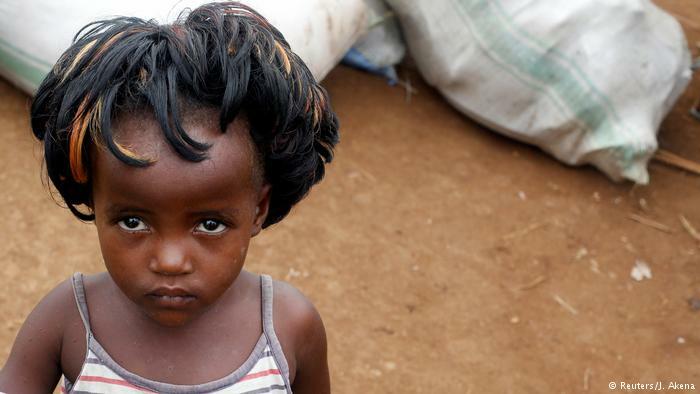 Before she fled Myanmar, she was raped 30 to 40 times in a single night. She is unable to recall how exactly how many times or how many men there were. “I left my body there,” she says, speaking with a soft voice, her gaze fixed on the trodden soil. We sit on a carpet striped turquoise and red in the front room of Fatima’s hut. Her husband, Ali, two years older than his wife, sits next to Fatima as she tells her story. In 2017, Ali, like so many others, was forced to leave his village to avoid being killed when the militias arrived, leaving behind his wife, and their infant sons. A few nights later, the militia dragged Fatima and other women — many of whom had huddled together in a shack to hide — into the jungle. The militia assaulted the women over and over again. Nobody could hear their cries and screams. Their husbands and brothers were either dead or running for their lives. Somehow, Fatima made it back to her village. Skillful hands tended to her wounds before she could bleed to death. However, it is likely that she will not be able to have a child again. 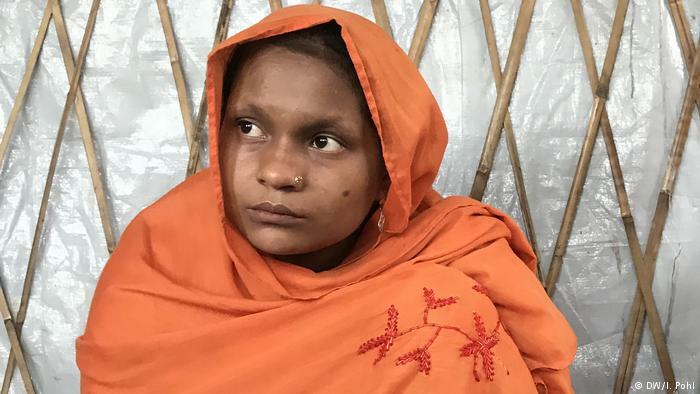 With her parents-in-law, Fatima fled across the border river to Bangladesh, where international aid organizations assisted her in finding her husband. Many Rohingya men abandon partners who have been raped, leaving them alone with the children — and the pain. Ali did not. “For me, it is not an issue to stay with her,” Ali said. She didn’t choose any of this, he added. Fatima and Ali live in one of Kutupalong’s illegal camps, which were built very quickly last year to accommodate the displaced people arriving in the hundreds of thousands. The structures are basic emergency shelters. They are intended for immediate shelter — not as long-term accommodation. Fatima and Ali expect that they will have no choice but to remain. Myanmar has not taken measures to issue displaced Rohingya Muslims official papers or to allow them to repatriate. Without valid documents, refugees are officially stateless and at the mercy of Bangladesh’s government. Rohingya began fleeing Myanmar to Bangladesh decades ago, resulting in the Kutupalong refugee camp near the southeastern city, Cox’s Bazar. But the camp population has increased dramatically since August 2017 and additional camps have been set up. Almost a million people now live in Kutupalong – a city almost the size of Cologne, but lacking the infrastructure. 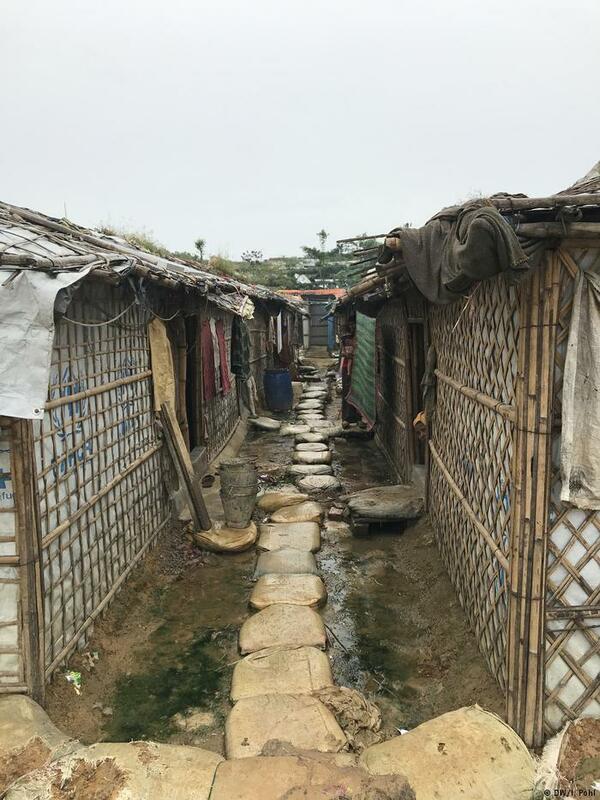 In the camps, women hardly leave their huts — not even in the blazing heat of the Bengali summer, when the temperatures above 40 degrees Celsius (105 F). Monitored by international organizations, 19 women-only huts are spread across the camps to provide some relief. Women who spend a few hours in these safer spaces have access to medical advice. If the power is working, there are even fans that provide temporary relief from the heat. There is a proper toilet and a place to bathe children. Bangladesh’s own history is one of exodus and expulsion. In the beginning, there was empathy and understanding for the refugees. That is slowly changing. Many Bangladeshis have the feeling that their country has already done more than enough to assist the foreigners. Resources are scarce in Bangladesh, which is regularly hit by natural disasters. Cartels smuggle drugs and weapons, leading to increased violence. There is also a growing fear that young Muslims could be radicalized. People in despair are thought to be particularly vulnerable to recruitment tactics — young people living in the camps are favored targets of religious extremists seeking new militants. Officially, Rohingya are not allowed to leave the camps or even to work, and the children only receive only rudimentary school education. Fatima wants to return to Myanmar. Maybe her will isn’t strong enough anymore to make a new life in a foreign country. The rain continues to patter on the white plastic tarpaulin roof; the sound has become the rhythm of waiting.